Job seekers in the cannabis industry need all of the advantages they can get when it comes to landing their first big job. If you’re one of these people, the best opportunity available to you is industry-specific training and certification. 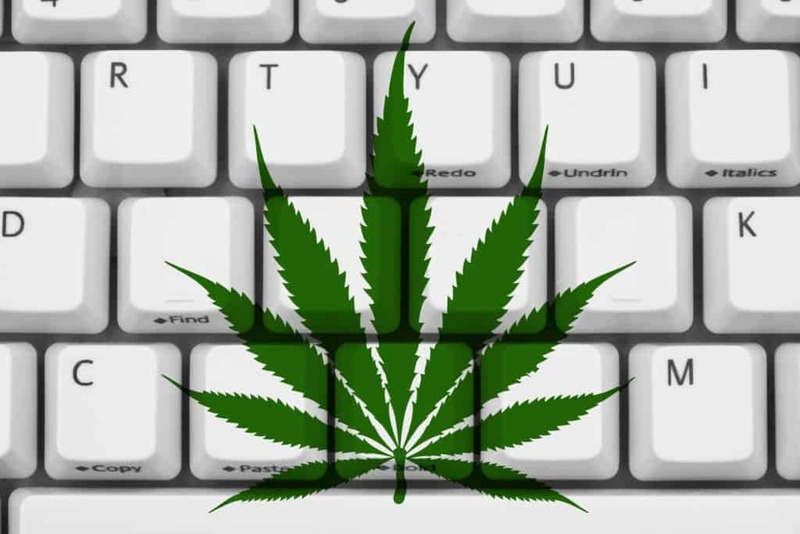 The advantages gained from online cannabis learning—often referred to as e-learning—will put you ahead of others who are competing for the same jobs. There is much to be said for working in the cannabis space. The industry continues to grow at an amazing pace as increasing number of states legalize marijuana for both medical and recreational purposes. As increasing number of companies open their doors for business, there is a strong demand for skilled employees who can hit the road running with a solid understanding of industry best practices and procedures. Cannabis learning is more important than ever, and certification from a THC university will give you a distinct advantage when looking for your first industry job. Online cannabis training and learning is a great way to set yourself apart from the crowd after the certification you will receive. Enrolling in e-learning programs provided by institutions like the Cannabis Training University will prove that you have put in the time and effort to gain an education and degree that is specific to the jobs you are applying for—an education that your fellow applicants most likely lack. A degree from this Florida cannabis school will stand out on your resume and put you at a distinct advantage to land the job you desire. Strongly consider The Cannabis Training University Master’s Certificate. Doing so will demonstrate that you’ve accomplished a high level of cannabis learning. Perhaps you’ve heard of online cannabis training courses and considered enrolling in one but weren’t sure if it was right for you. If you were unsure of some of the unique benefits an online cannabis training institute can provide compared to a face-to-face training program, read further. Online courses like those offered by Cannabis Training University’s legit and respected program will not only teach you how to grow cannabis, it provides a solid foundation of learning for the industry in general. The fact of the matter is that some of the most respected learning institutions in the country have numerous options for online education. Online training and course studies have a long history that goes back to the days when the word “online” didn’t exist. More than 170 years ago, correspondence courses in Great Britain provided the foundation for what is now modern e-learning. Referred to as “distances courses” at the time, class work was completed through the mail. In the cyber age, distance learning is still alive and well, but now it’s immediate and much more advanced. The internet, of course, has brought distance courses to what we know them as today. Let’s identify some of the unique opportunities that online training programs provide to get you into a job quickly to start earning money. One distinct advantage of e-learning is that it’s typically much more affordable than on-campus instruction and education. Part of the expense of on-campus training is due to the overhead involved with this method of education. On-campus training requires physical buildings that require lighting, heating, and cleaning as well as professors that earn high salaries. Enrolling in online training courses takes many of the costs of specialized education completely out of the equation. The rising costs of higher education are making it increasingly prohibitive for many people to enroll. Gaining a solid education through e-learning, males a lot of sense for busy people who are on fixed incomes but want to further their education and open their career paths to an increased number of options. One of the biggest advantages to e-learning is the convenience. You will never be late to class or miss an assignment. With online learning, you make the schedule, and you define the class hours so they fit into your busy schedule. Even more empowering is that your virtual classroom is portable—you don’t even need to be in town to continue learning. Using a laptop computer, tablet, or smartphone brings the classroom to you rather than requiring you to visit a campus. The hours and location are tailorable to meet your specific needs. Many students work these days, and many employers create schedules that vary from week to week. With online learning, you can accommodate any work schedule so you can learn as well as pay your bills. You have a high level of control while getting your education—which makes this method of learning very convenient. One of the key benefits of e-learning is that the information you learn is often timelier than that allowed from a conventional textbook. This has always been the major advantage digital information has over print, and now you bring the timeliness factor right into the online classroom. Things change rapidly in the cannabis industry, so the ability to have access to timely information is important. Because of frequently changing regulations, the ability to learn timely information allows you to navigate the twists and turns of an evolving industry that is still experiencing frequent change. Alterations to laws and legislation are bound to continue into the foreseeable future. Depending on the e-learning program, many offer a choice of courses or options to take additional classes to expand learning. Some allow students to pick and choose courses to fulfill the requirements for certification or to earn a degree. This is similar to the selection of courses offered for on-campus education. There are numerous options for both on-campus and e-learners. This allows people with varying interests to have options when completing their requirements for certification or a degree. When a bonus course or new course becomes available, it usually makes sense to take advantage of taking it. Cannabis learning must evolve as the industry changes in order to remain current. As practices and procedures change for legal or monetary reasons, it pays to remain current in the evolving cannabis space. In school, all of the way from first grade through college, there are the students who like to sit in the back of the class and others who are always in the front row, eyes glued to the chalkboard. With online learning, everyone sits at the front of the class—without any risk of being called on when they skipped their homework the night before. Online learning brings the classroom right into a bedroom or office space, complete with helpful graphics and visual elements that can be so important to learning. Visual learning is more important than ever. Many companies install white boards not only in meeting rooms these days, but in individual offices as well. There is much to be said about teaching and explaining concepts with graphic components. The old axiom, “A picture is worth a thousand words” supports this point perfectly. All of the technology available to the public today has conditioned society to rely on visual elements while learning. The reason goes beyond technology and is quite simple–it works! Gaining knowledge through e-learning brings a mix of essential instruction that’s supported with visual elements to fortify key points and vital information. Your online cannabis education is ready when you are. Don’t delay this key step to gaining a competitive advantage.